These are various pictures taken by our expert guides on sunset and sunrise tours throughout 2013. 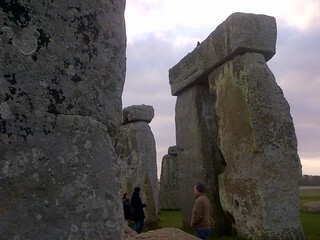 For those of you who have not visited Stonehenge, we should mention that the complex is roped off. Visitors observe the stones from a distance and are not permitted within the Stone Circle which can be somewhat frustrating. Our special access tours allow you to be amongst the stones and to actually touch them. "A Unique Experience!"